In this article, we’ll look at size, weight, cost, and even special features to determine which off road karts are worth your money. Each product earned its place in here based on quality, speed, weight capacity, and build. Go karts aren’t just for kids these days. The best off road go karts for adults are able to do a bit more than those marketed for kids, with more power under the hood and more safety features where they count. These karts will absolutely take you off road, but even more importantly they’ll get you there in style. These karts are a different breed than those that you may have driven at various family fun centers – and knowing which ones are worth your money really can make a difference. Let’s discover the winning models! Trailmaster’s a well-known brand in the world of off-road sports, so it should come as no surprise that it makes one of the best off road go karts for adults. This machine can easily reach over forty miles per hour, with a top speed of fifty miles per hour even in a climb. It’s the kind of kart you drive when you want a little more speed, though it is still rugged enough to take off the beaten path. A true beast of a machine, the only thing that holds it back from the top of the list is the fact that it isn’t street legal. TAO TAO’s Arrow makes this list because it’s got a certain cool factor that most other off-road karts just don’t have. 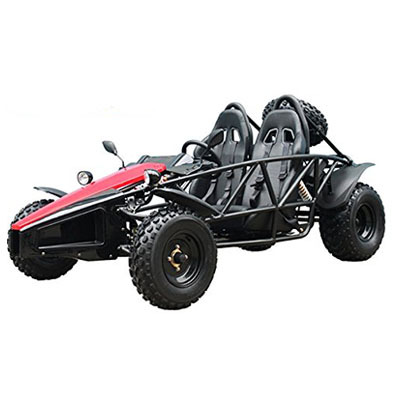 This is one of the best off road go karts for adults because it’s got a lot of aesthetic value in addition to its ability to go off-road. Though it’s not necessarily the fastest kart out there, it is still one of the most pleasant rides you’ll find. With a design inspired by racing, it’s easy on its passengers even as you tackle the wilderness. As a bonus, this kart is even legal to drive in California, which isn’t terribly common for gas-powered go karts. Sometimes, the real selling point of a go kart can be found in the vehicle’s name. This 4-Seater Go Kart is one of the best out there for those with families, as you can easily take the whole crew on a ride. The unique design helps to keep everyone safe while still allowing you to have a little fun while in the wild. 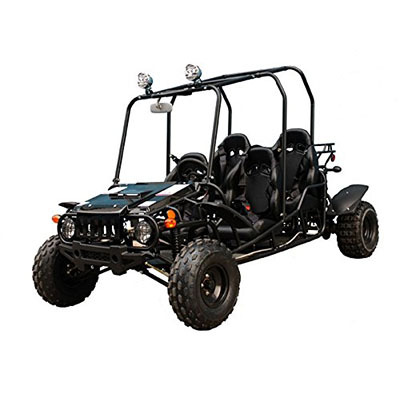 Though it’s certainly not quite as fast as some models out there, the fact that you can bring everyone along on your drives really makes this one of the best off road go karts for adults you can buy. Coleman’s 196cc kart might be marketed towards kids, but the truth is that this kart is a great off-road choice for adults as well. 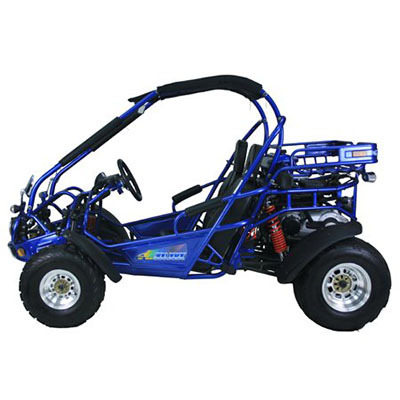 Capable of easily holding up to 220lbs, it’s great little off-road kart that won’t disappoint you. This kart stands out from the crowd by being incredibly reliable and safe, both qualities you want in a kart when you’re going to take it off of the road. Check out this kart if you meet its size requirements and you want something that’s going to keep working for years to come. 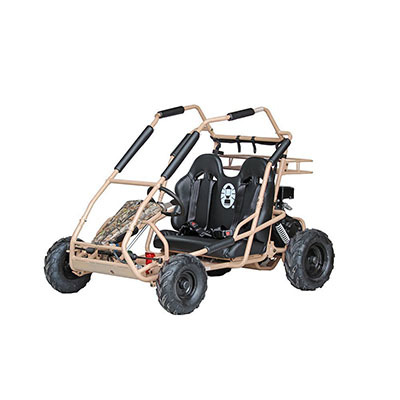 Kandi’s go-kart is probably the best off road go kart for adults you’ll be able to find. That holds true especially if you’re looking for something that has a good balance between being quick and durable. It can hold two adults with ease and break the forty mile per hour mark and does so in style. It is one of the smoothest rides you’ll find whether on the road or off. Moreover, its long list of safety features will help you to keep having fun even when the trail starts to disappear. One often overlooked truth about go karts is that they take a great deal of work to keep going. These karts are a little different than those that you’d find at a local fun center. That means that you’ll have to learn the ins and outs of them if you really want them to list. Considering that go karts usually represent a sizable investment, you’ll want to understand the basics as soon as possible. Most basic go kart maintenance will involve knowing when to lubricate parts and when to switch out fluids. Oil changes need to be done every time you pull the kart out of storage. On top of that, every moving part needs lubrication before you take the kart out for more than a quick spin. Failure to perform basic maintenance checks will greatly reduce the life of the vehicle and can lead to frustrating failures in the field. 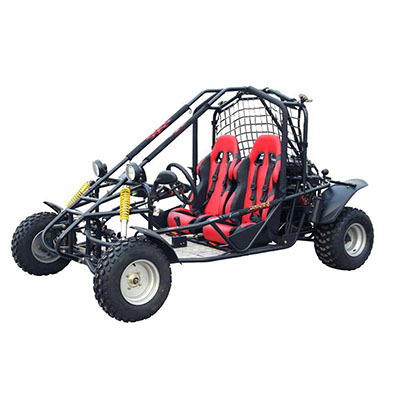 Finding the best off road go karts for adults isn’t just a matter of listing features – it’s a matter of knowing what you need when you drive. Whether you are interested in speed, durability, or just looks, one of these five karts will give you what you need. If you’ve had an experience with one of these karts or you know of another great kart of adults, don’t be shy – get in contact with us today.